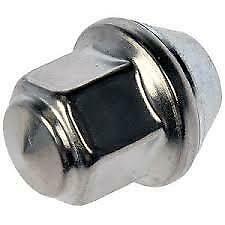 THESE LUG NUTS ARE MADE OF ALUMINIUM, DON'T TREAT THEM LIKE NORMAL STEEL NUTS. Colour: as shown in the pictures. Thread: 12mm x 1.5mm. Thread size M14 x 1.5. Thread Length 27mm. Thread: 12x1.5mm. 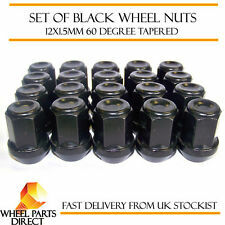 20 high quality wheel Nuts for your alloy or steel wheels. The Nuts are manufactured from high tensile steel and finished in black to give a nice and durable finish. Note: These Nuts are 60 degree tapered mainly for after market alloy wheels. All you need to do is remove one of the standard nut from each wheel using a wheel wrench. Take off zinc plated covers from each locking nut and fit the locking nut using unlocking key included in a box. KIT 4 BULLONI. SU CERCHI IN LEGA ORIGINALI. Tipo ( J11 ). BULLONI ANTIFURTO. KIT 4 BULLONI. I BULLONI E/O I DADI. Dal 2014 in Poi. SU CERCHI IN LEGA ORIGINALI. IN CASO DI FATTURA SI PREGA DI RICHIEDERLA. IN QUEST'INSERZIONE. Key: H '808'. Note: Always apply WD40 or a similar product to the required nut/bolt before using the key, or you may risk breaking the key. For use with Wheel Spacers! SET OF 20. WITH LOCKING NUT SET. Thread size: M14 x 1.5. Spanner size: 19mm Hex. Bolt material: Heat treated carbon alloy steel. 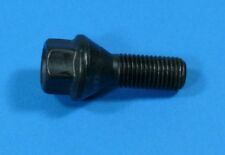 Overall bolt width: 24.5mm. Part Number: RRD500510. Range Rover Sport New Alloy Wheel Nut Set (x20). wheel nuts for your Range Rover Sport 2005 Onwards. Land Rover Parts & Accessories. Land Rover Parts. Range Rover Parts. Land Rover Discovery 3/4, (2004-2014). This tool is made from high tensile steel and is bright zinc plated for durability. 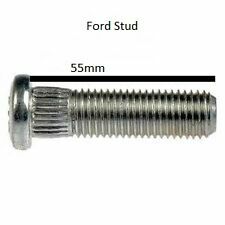 It can be used with any vehicle that uses wheel bolts with a thread size of M14x1.5. Just screw this tool into one of the bolt holes in the wheel hub and slide your wheel over it. These nuts are an essential upgrade to your worn out factory OEM wheel nuts. Stand out from the crowd! NEW JDM RED SPIKED WHEEL NUTS - ALL HONDA TOYOTA MITSUBISHI - M12 X 1.5. Spike Length: Approx. DISTANZIALI WMR SPACERS. Causale Reso. Ordinato il ( ) / ricevuto il ( ). decorre dalla data di ricezione dell'ultimo prodotto. Motorbike MX Tyres. Scooter Tyres. Coil Spring Assister. Conversion Wheel Studs. Hubcentric wheel spacers Kits. Locking Wheel Bolts. Motorcycle Inner Tubes. Locking Wheel Nuts. 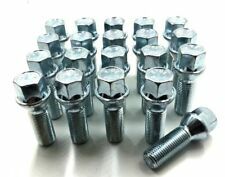 These bolts have the correct 10.9 grade tensile strength required for safe use as wheel bolts.They are bright zinc plated to a high standard. This finish will not chip or crack off as with cheap bolts. CHIAVE ACCIAIO UNIVERSALE BULLONI RUOTE 17 19 21 23. Lunghezza: da 19 a 35.5 Cm (circa). Oggetto indispensabile da portare sempre con se nell'auto in caso che forerete la gomma la sostituzione vi risulterà molto semplice. Cache écrou pour jante alu ou jante métal. Vendu par lot de 8 pièces (8 cache écrous). POUR JANTE ALU VOLKSWAGEN PEUGEOT RENAULT CITROEN SEAT BMW FORD OPEL NISSAN.ECT. Pour tout écrou de diamètre. A SET OF 20 RANGE ROVER EVOQUE WHEEL NUTS. This set will fit all model Evoques from 2011 to present date. These are Genuine VW Audi Group quality parts designed to fit and stay on! Removal tool. 4 x ALLOY WHEEL LOCKING BOLTS BLACK FOR BMW X1, X3, X4 ,X5,X6,Z4, M14 X 1.25 40MM LONG. Extended Thread 40mm. 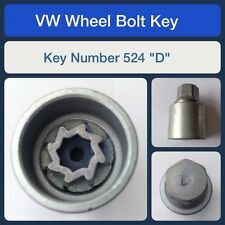 4 x Locking Wheel Bolts and Key. Keep your wheels secure with these high quality locking bolts. FARAD QUALITA' E SICUREZZA. KIT 4 BULLONI ANTIFURTO CON DUE CHIAVI. Le combinazioni antifurto sulla testa del bullone o dado sono protetti da un tappo di acciaio INOX esagonale che dà un aspetto brillante ed elegante allo Stil-Bull quando è montato sulla ruota. 8 x 3/8" UNF. High Tensile Wheel Nuts. TuV Approved. FARAD QUALITA' E SICUREZZA. KIT 4 BULLONI ANTIFURTO CON DUE CHIAVI. NB COMPATIBILI CON CERCHI ORIGINALI. Dal Lunedì al Venerdì con. Accettiamo il Contrassegno (Solo in Italia). Per ACQUISTI MULTIPLI sono previsti degli SCONTI. Set of 20 x M12 x 1.25, 19mm Hex Open Alloy Wheel Nuts. M12 x 1.25. These nuts are suitable for both steel and alloy wheels and are a great way to replace old rusty wheel nuts, instantly uplifting the look of your cars wheels. FITS CITROEN. Tyre Pressure monitor sensor ( Valve repair kit ). C5 II 2004 Onwards. C5 III 2008 Onwards. x1 Valve stem. x1 Valve stem core. You are buying for £5.99, a kit (as shown in the photo) which includes. HEYNER STILBULL. 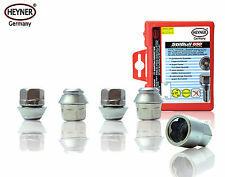 HELP TO PROTECT YOUR VALUABLE WHEELS AND TYRES FROM THEFT WITH A SET OF HEYNER WHEEL LOCKING NUTS! All products are directly imported from Germany to our warehouses in the UK. FOR :JAGUAR X-TYPE, XF ALL MODELS. Fit All Ford Focus MK2 Models with Alloy Wheels (Not Steel) in the following years : 2004 on. Your wheel hubs or brakes may be adversely affected by wrongly fitted wheel nuts. Do not use air guns to fit. FITS CITROEN. Tyre Pressure monitor sensor ( Valve repair kit ). C4 & C4 Coupe 2007 Onwards. C5 II 2004 Onwards. C5 III 2008 Onwards. FITS PEUGEOT x4 Valve stems. x4 Valve stem core. FOR :BMW 3 E90, E91, E92, E93. All you need to do is remove one of the standard bolts from each wheel using a wheel wrench. Take off zinc plated covers from each locking nut and fit the locking bolt using unlocking key included in a box. Touran - 2005 to 2016. EOS - 2006 onwards. Beetle (New) - 1999 onwards. Passat B5 B6 B7 B8 & CC - 1996 to 2016. This is suitable for the following Volkswagen Models. Polo MK4, 5 & 6 - 2000 onwards. Golf MK3, 4, 5, 6 & 7 - 1991 to 2016. PART NUMBER: RRD500510 /RRD500590. LAND ROVER DISCOVERY 5 (2017-ONWARDS). LAND ROVER DISCOVERY 4 (2009-2015). LAND ROVER DISCOVERY 3 (2004-2009). THESE ARE 22MM NUTS FEATURING A 22.5MM SHANK WITH A 14MM THREAD. 5x RRD100660 Wheel Nuts. Part Number: RRD100660. Land Rover Freelander 1 Alloy Wheel Nut Set. Land Rover Freelander 1, (1998-2006). Freelander Parts. Series 2 & 3 - Defender 90/110/130, Discovery 1,2,3,4,5 & Sport - Freelander 1 & 2 - Range Rover Classic, P38, L322, L405, Sport & Evoque. M14 x 2, 19mm Hex Alloy Wheel Nuts for Ford Transit. Set of 20. 72.6 - Plus. M12 x 1.25. Split Rim Bolts. 69.1 - Plus. M12 x 1.75. 56.1 - Plus. Our categories. Locking Bolts. Thread size M14 x 1.5. 20 x ALLOY WHEEL NUTS CHRYSLER 300 C.M14 x 1.50 34MM 21 HEX. Bolt length 34mm. Internal thread length 28mm. Fit All Rover MGF & MG-TF Models with Alloy Wheels from 1995 to 2011. Your wheel hubs or brakes may be adversely affected by wrongly fitted wheel nuts. Do not use air guns to fit.